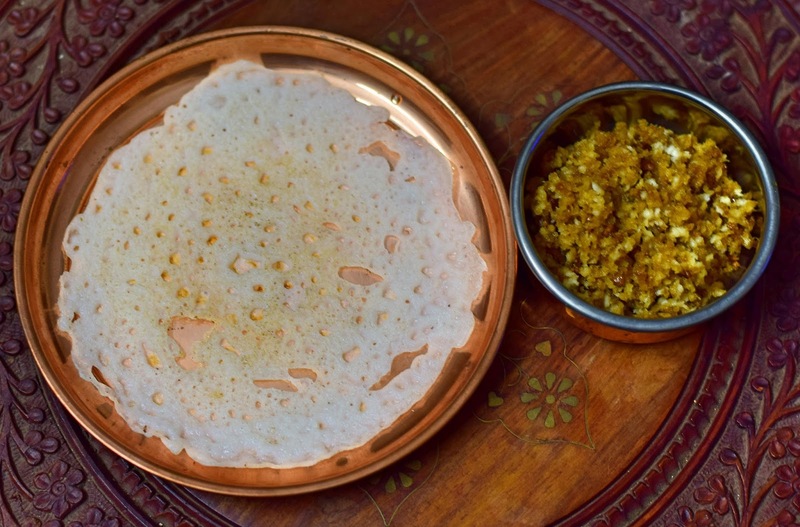 Neer dosai is a very popular mangalore dish. It is also known by the names - Bajjari dosa or Bajjarige dosa. It is a lacy dosa made with just rice and coconut. It is very easy to prepare and does not require any fermentation. 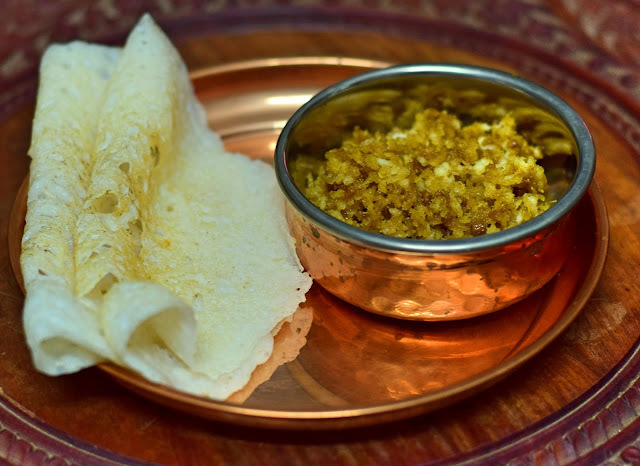 It is traditionally served with a mixture of jaggery and coconut or rasayana (coconut milk and banana/ripe mango), but you could serve it with any chutney of your choice. I will post the recipe for rasayana in my subsequent posts. 1) Soak rice overnight in water. 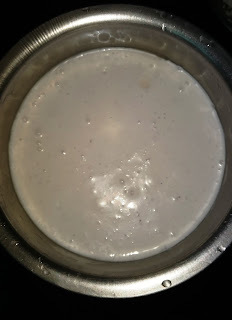 2) Discard excess water and grind with coconut to make a smooth batter. 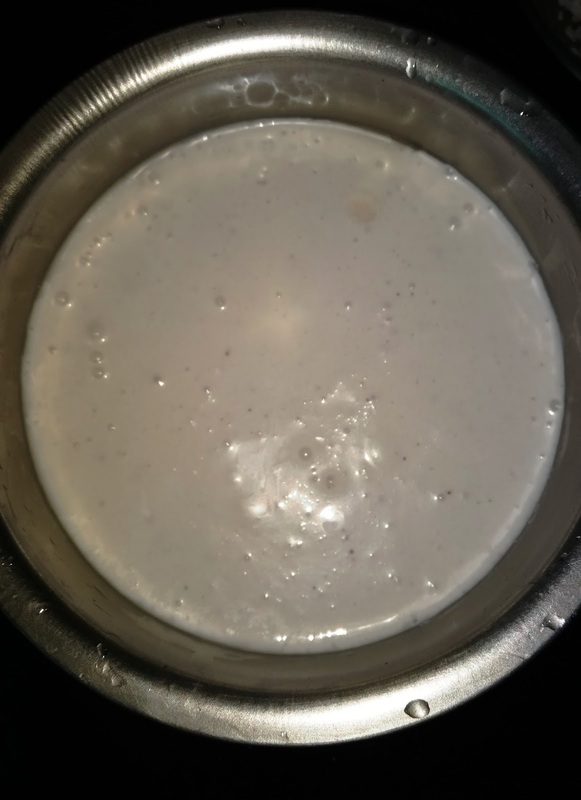 The batter should be of a runny consistency similar to a rava dosa batter. Add salt to the batter. 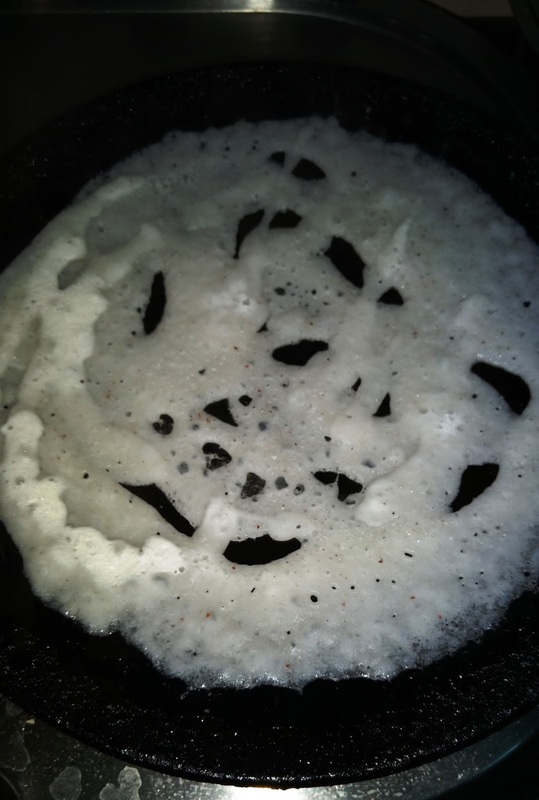 3) Heat a dosa pan and proceed to make dosa in the usual way. 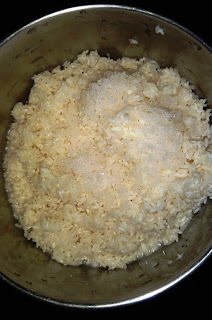 4) For the accompaniment, mix jaggery and coconut and serve.